It might just be the drink of the summer. The Aperol Spritz, a simple cocktail composed of Aperol, prosecco and club soda over ice is having a moment. 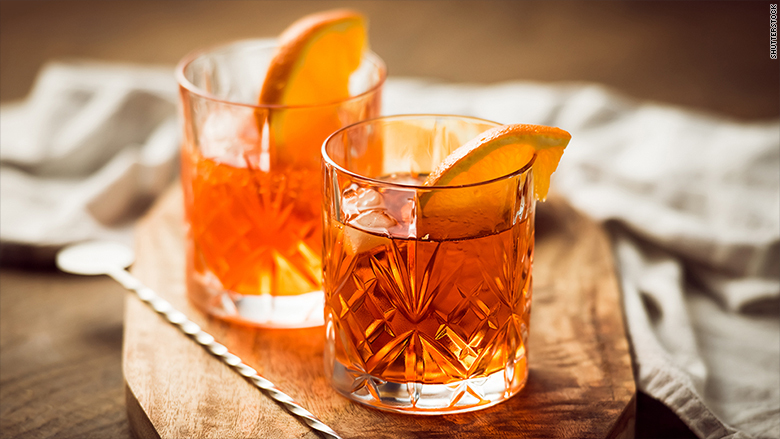 Gruppo Campari, which produces Aperol, reported double-digit growth in US Aperol sales in the first quarter of 2018. The sparkling drink with a low alcohol content seems tailor made for the social media generation. "The Aperol Spritz is such a gorgeous cocktail, with its distinctive, orange color," said Melanie Batchelor, vice president of marketing for Campari America. "We know social media is one of the drivers of awareness. It's one of the most Instagrammed cocktails." Campari made a concerted effort to make the spritz, which was created in Venice in the 1950s, popular with Millennial and Generation Z drinkers. It created "experiential events" in trend-setting cities like New York, Los Angeles and Miami. In New York the group set up shop in The Hamptons, and installed pop-up Aperol stands at hipster festivals like Governors Ball and Jazz Age Lawn Party. "It took off because they had a very aggressive marketing campaign," said Jeremy Oertel, lead bartender at Donna in Williamsburg, New York. That's why the Aperol spritz is the second-top-selling drink at his Brooklyn bar, where they keep the cocktail on draft. Batchelor said she thinks the Campari marketing push dovetailed with a shift among US palates toward more bitter flavors. Made of rhubarb and the gentian and cinchona plants, Aperol has a bitter taste, like Campari, the group's signature drink. She points to the rise in coffee culture and in health foods like kale and Brussels sprouts as evidence. "Bitter profiles are becoming prevalent, and that's a big shift," she said. But Aperol has just half the alcohol as Campari, and that appeals to younger drinkers. "There's a movement in America towards not getting totally drunk, where you can sit out in the afternoon and still be able to function." Oertel said. "It's a very European idea." The push seems to be working. In its 2018 Brands Report, Drinks International found Campari to be the best-selling liqueur, based on surveys with bars around the world. In third place was Aperol. "All we are doing is adding fuel to the existing fire, making sure we are available in the right places at the right times for people to become educated in this contagious cocktail," said Dave Karraker, vice president of marketing and communications for Campari.